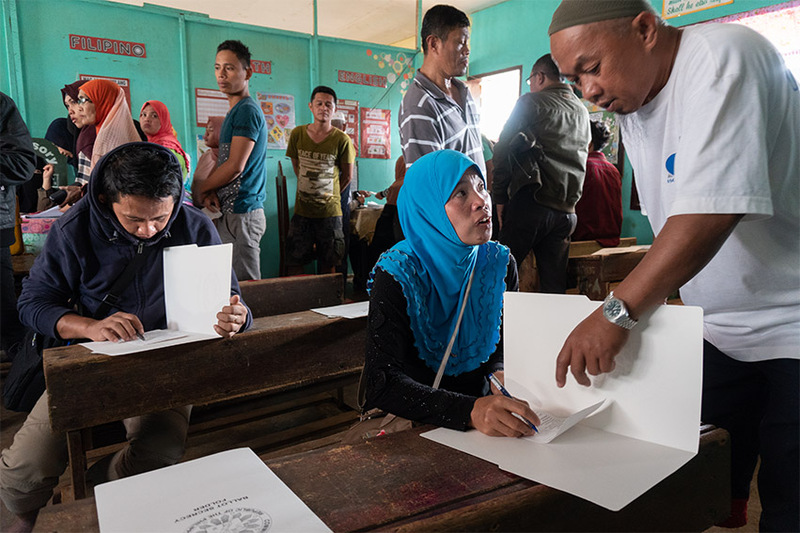 Meranaos trooped to their polling precincts on Monday (21 January 2019) to cast their votes in the plebiscite for the ratification of the Organic Law for the Bangsamoro Autonomous Region in Muslim Mindanao in what officials said was a very peaceful electoral exercise. 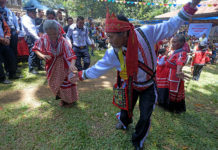 The “Yes” votes won by a landslide in Lanao del Sur. 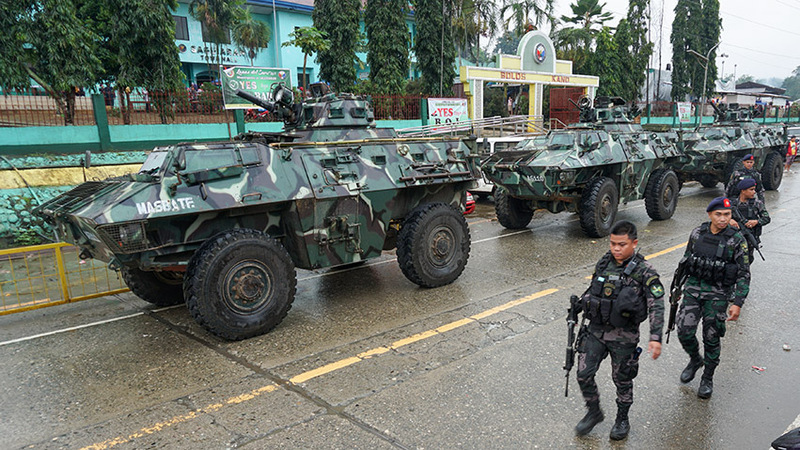 Policemen prepare for election duty before the start of balloting outside the municipal hall of Saguiaran, Lanao del Sur. 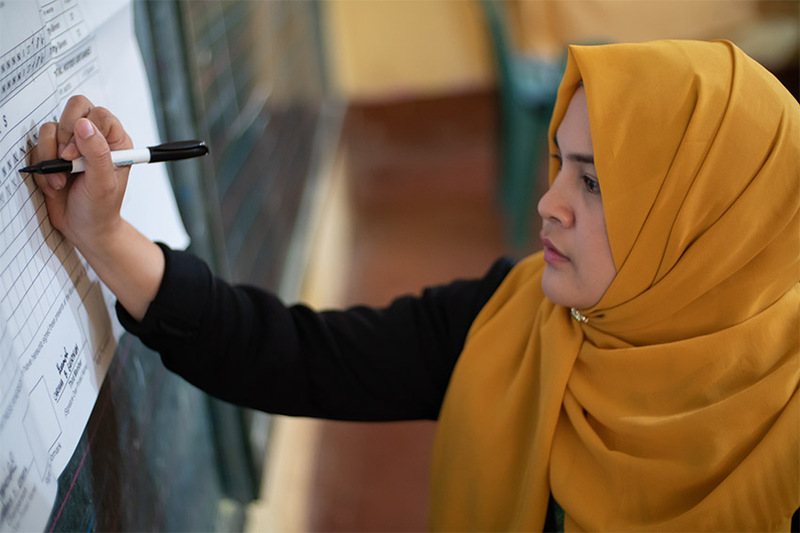 A teacher prepares before voters start coming in at the Amai Pakpak Central Elementary School in Marawi City. 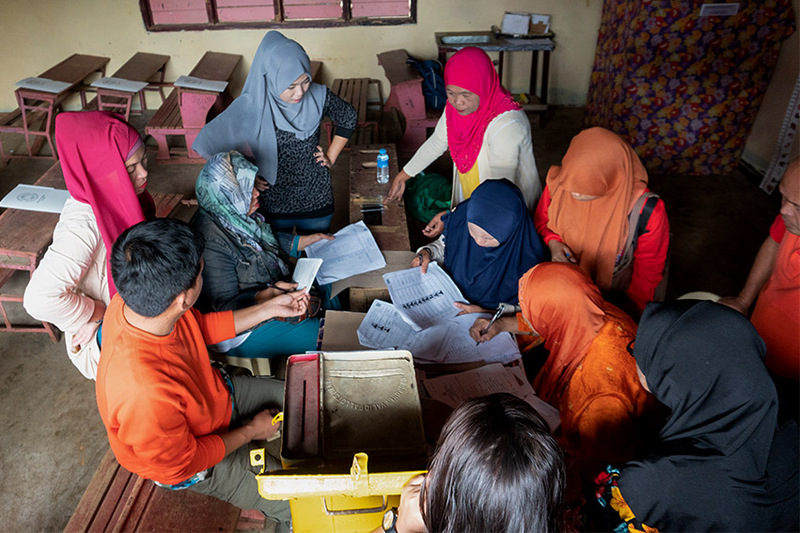 Meranaos look for their precinct assignment at the Amai Pakpak Central Elementary School in Marawi City. 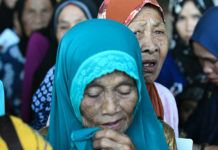 Voters start arriving at the Amai Pakpak Central Elementary School in Marawi City. 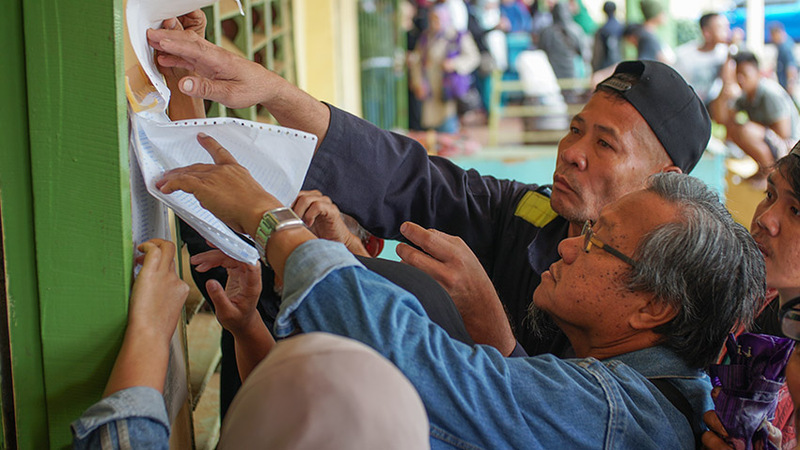 Inside a precinct at the Camalig Elementary School in Marantao, Lanao del Sur. 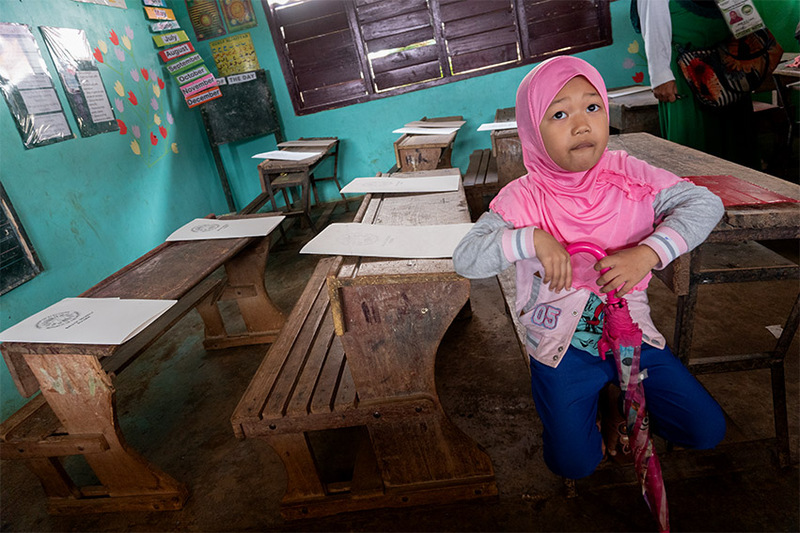 A girl waits for her mother, who cast her vote inside a precinct at the Camalig Elementary School in Marantao, Lanao del Sur. 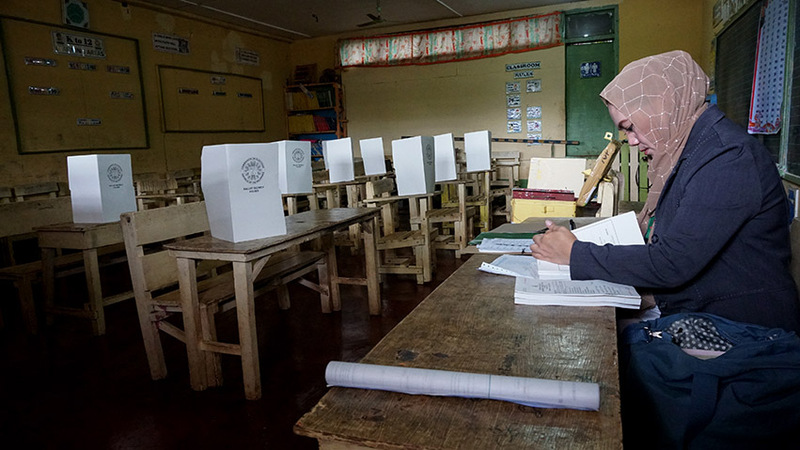 A Meranao woman casts her vote at the Camalig Elementary School in Marantao, Lanao del Sur. 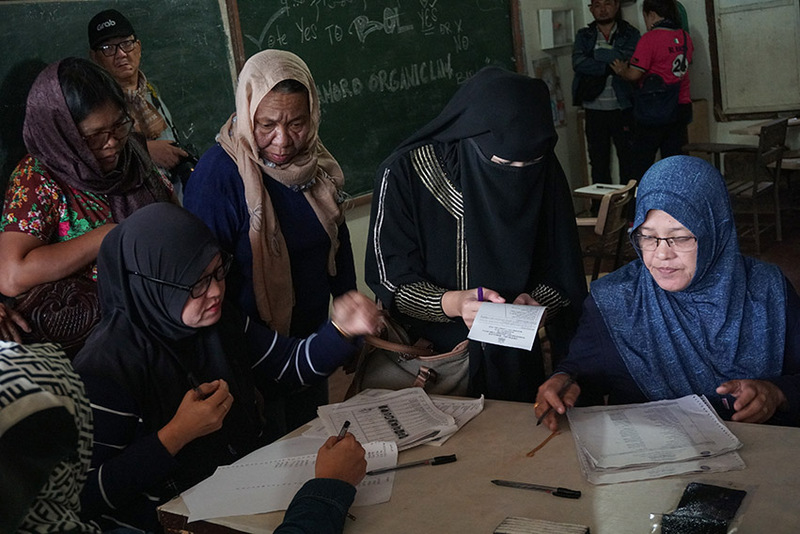 Voters consult each other inside a precinct at the Camalig Elementary School in Marantao, Lanao del Sur. 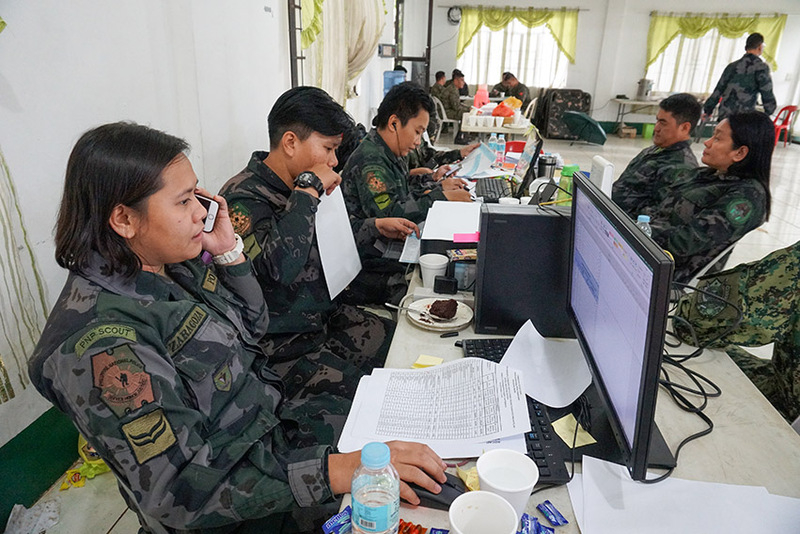 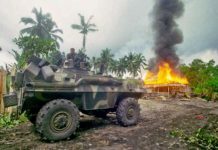 Police personnel monitor progress of the balloting in Lanao del Sur from Kampo Ranao, headquarters of the ArmyÕs 103rd Infantry Brigade in Marawi City. 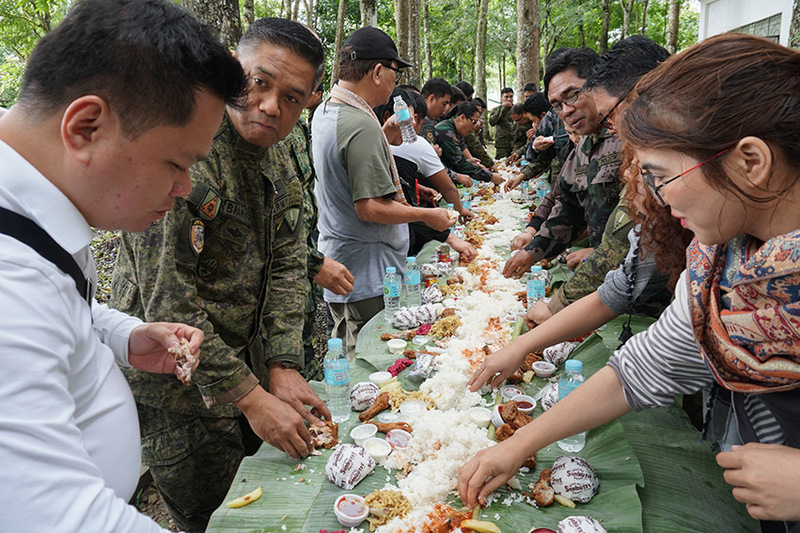 Army, police and election officials and personnel, including the media, monitoring the plebiscite take part in a boodle fight during lunch at Kampo Ranao, headquarters of the ArmyÕs 103rd Infantry Brigade in Marawi City. 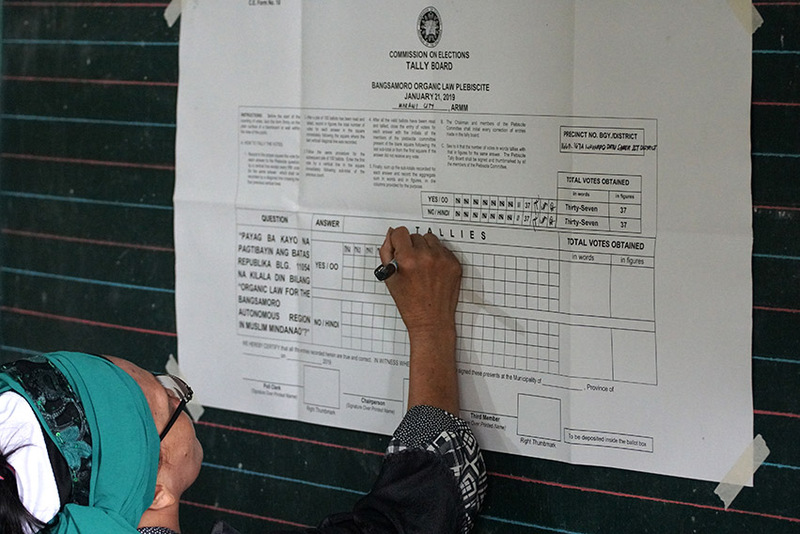 Counting of votes start right after the end of balloting at the Amai Pakpak Central Elementary School in Marawi City.